We’re back with a lot of posts that will get you on a merry ride and leave you inspired. While we were busy holidaying in parts of India and chilling at home brainstorming for more stories, we visited South Indies in Pune. The decor of the place is simple with a pop of color. 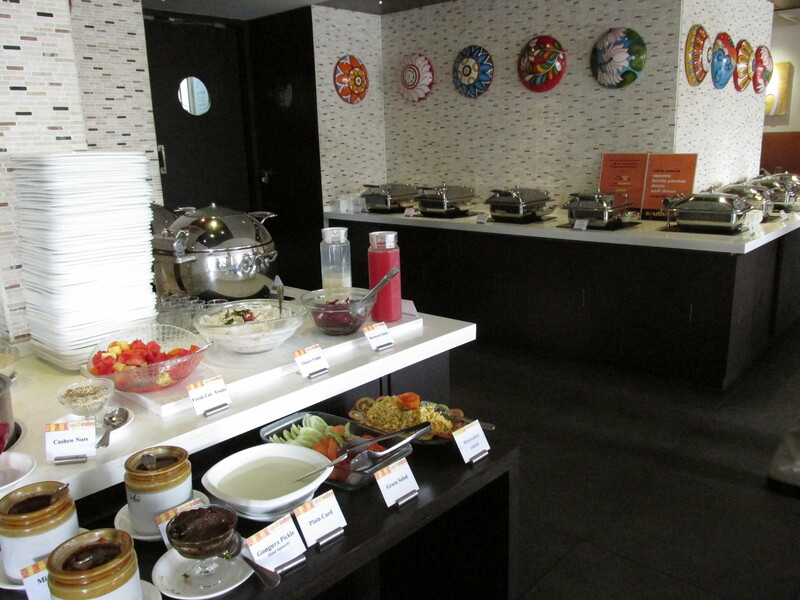 The staff is mostly South-Indian and speak with a hint of accent. They were warm and accommodating as well. 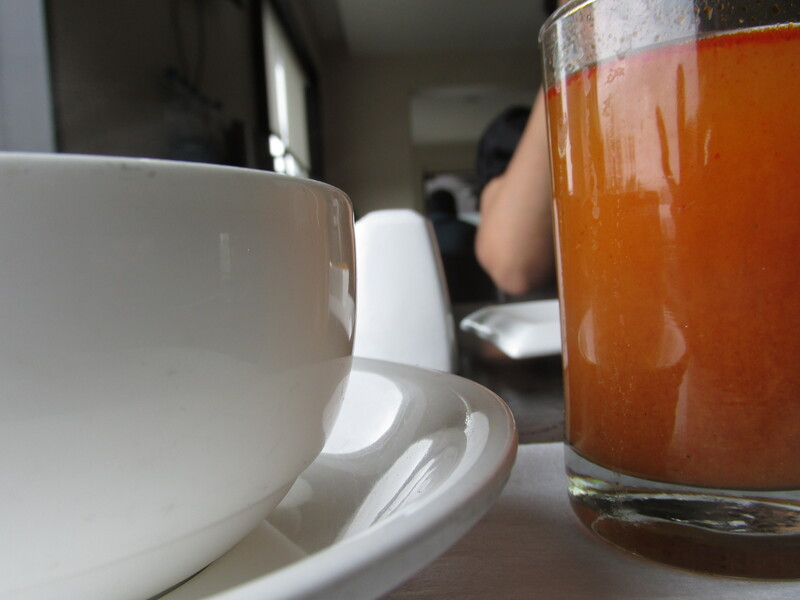 They first offered a welcome drink that consisted of Rasam and Tomato juice. 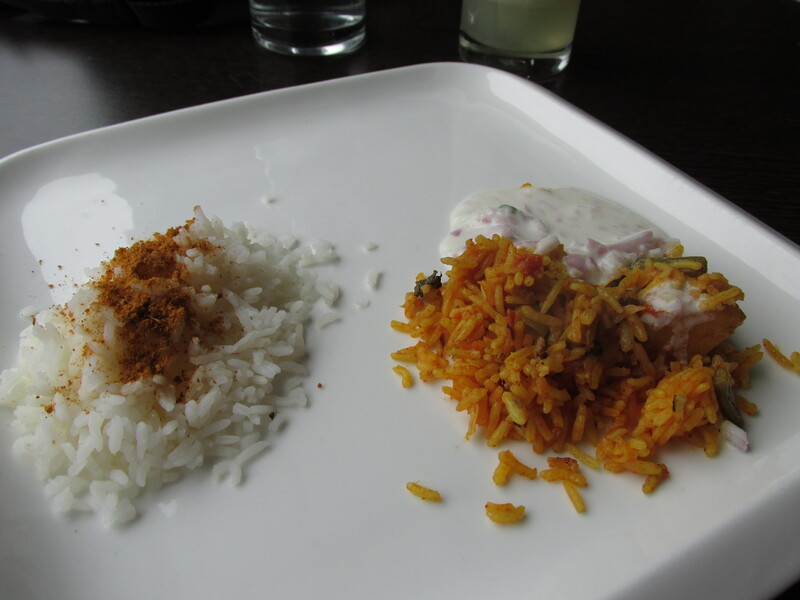 The Rasam was not as satisfactory as a traditional portion would taste. It fell short of taking us on a trip to the Oh-So-Beautiful South. Having said that the next portion of soup did entice a little. The vegetable stew simply made us go hmmmmm 🙂 It had chunks of vegetables with a creamy texture. It tasted sour, sweet and peppery. 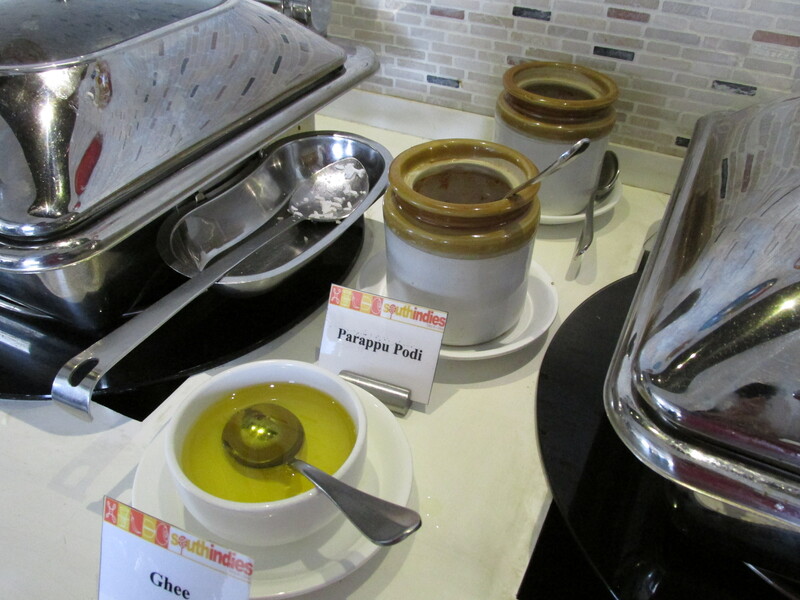 After relishing the stew we chose a traditional offering of various types of Dosa. 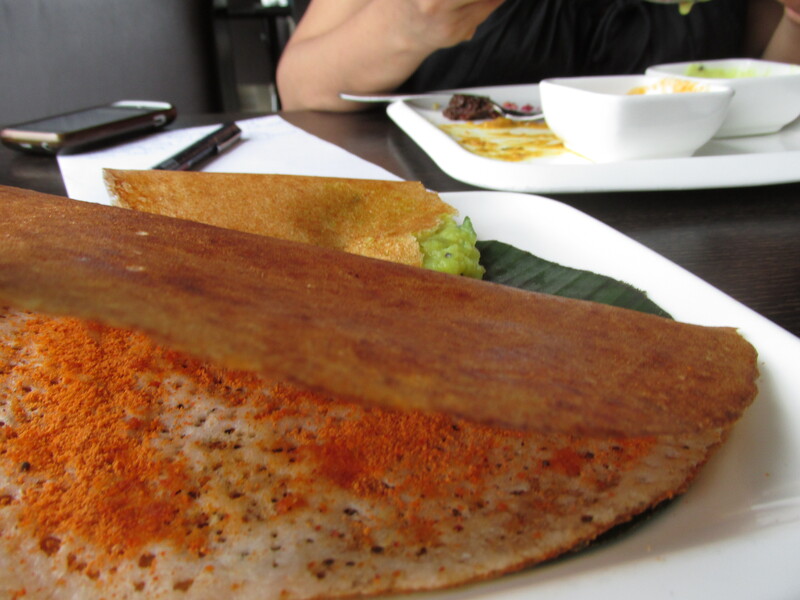 There was a plain Dosa, Masala Dosa and Mysore Dosa. The Mysore Dosa was the winner among the rest as it tasted bland when you ate it and had an after taste of coconut oil and red chilly spice. 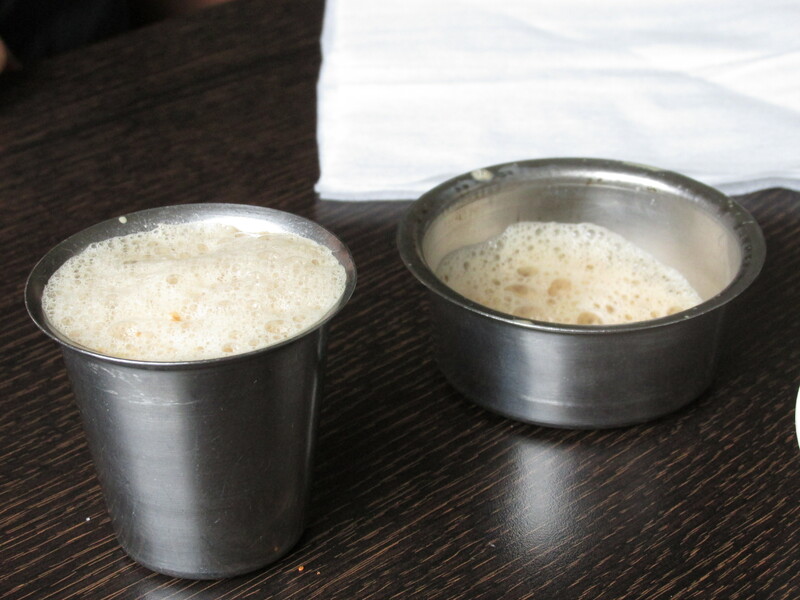 We were also served an assortment of vegetables to go with plain Appam which were more inclined towards the Punjabi taste than South-India. 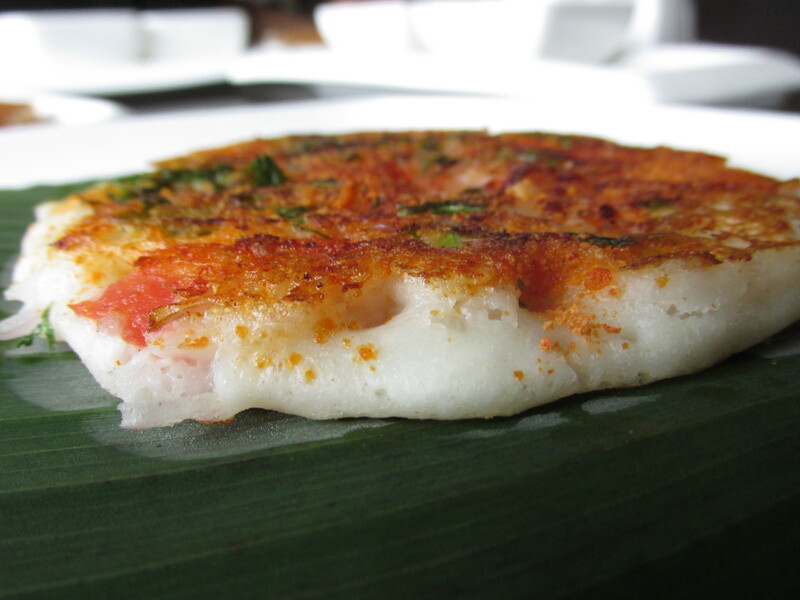 What we loved and romanced the most was the Masala Appam. The Kerala Parota served to us was more like a kulcha having a fancy name which you will easily find at most restaurants. The most delicious part of the entire meal was the platter that included Green Moong Dal mini-Dosa, Rava Bhajji, Padval Chips – the yummiest we’ve eaten ever! Moving on to the next source of our meal the plain steamed rice with spice powders topped with ghee was more attractive than a Veg Biryani that was too strong on flavors and did not satisfy us. The steamed rice though was a traditional way of having rice in the South. It is first topped with ghee (as per desire) and then the powder is sprinkled as per the flavor needed. 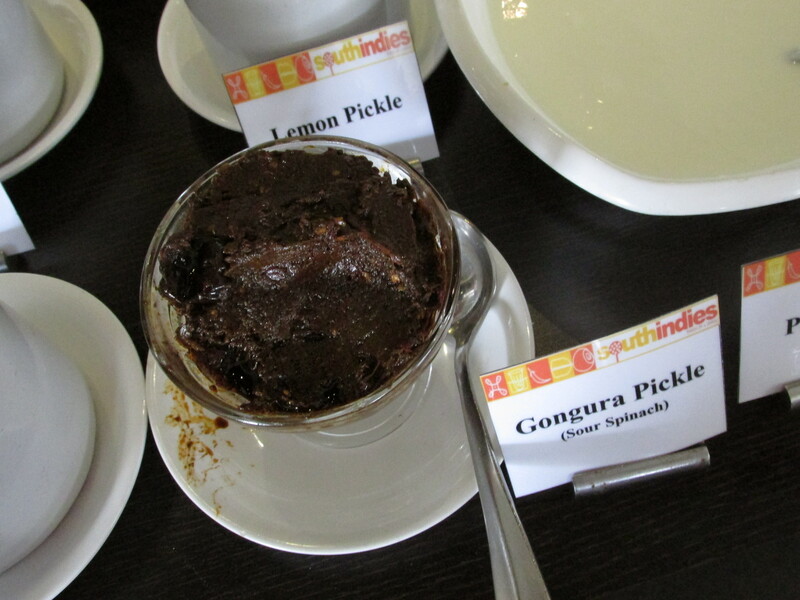 The pickle assortments were also delicious; the mixed pickle was yum, whereas the Mango and Lemon pickle were a burst of flavors that kept us wanting for more. The one that left us licking our spoons was the Spinach Pickle. It was so mouth-watering that you can just sit there and keep licking it off your spoon to your hearts content. Restaurant Review: The Bombay Canteen – Worth All The Hype! 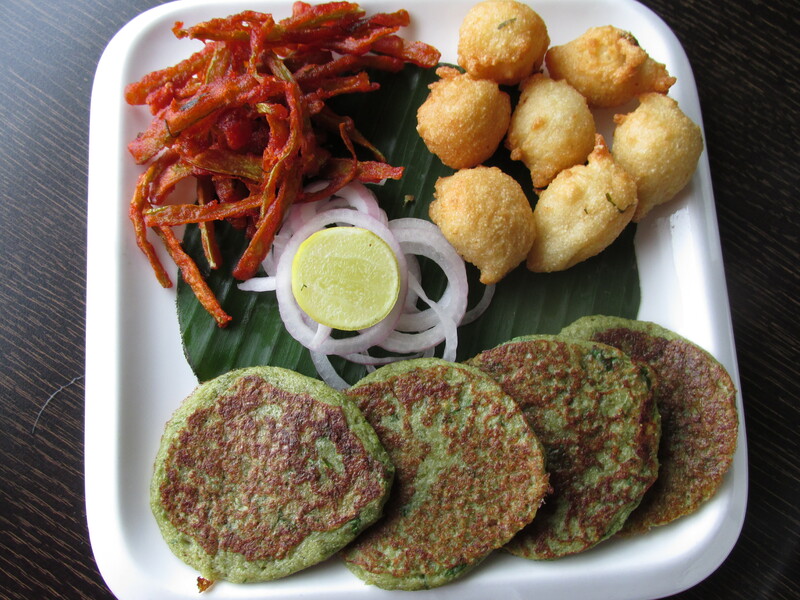 ← Food Review: Monsoon Maharashtrian Jhevan – A Hot Delight!